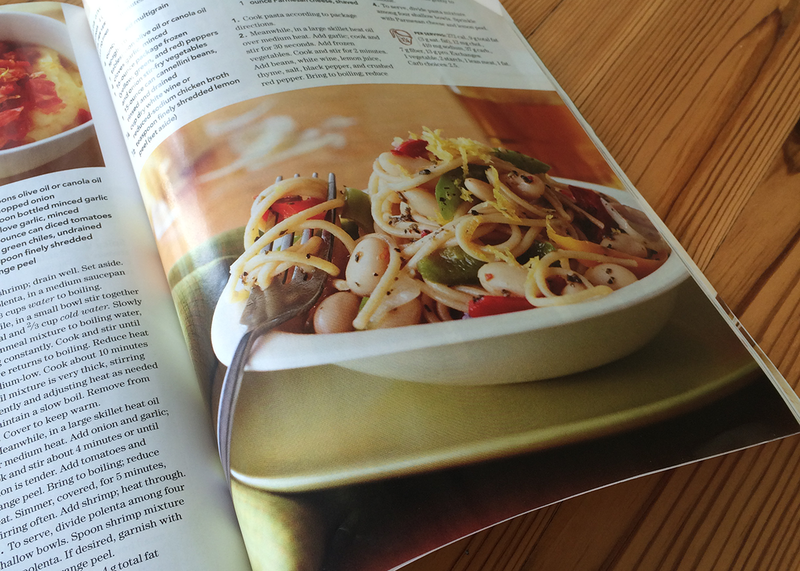 This recipe was in the Better Homes and Gardens Low Calorie 2015 Edition. 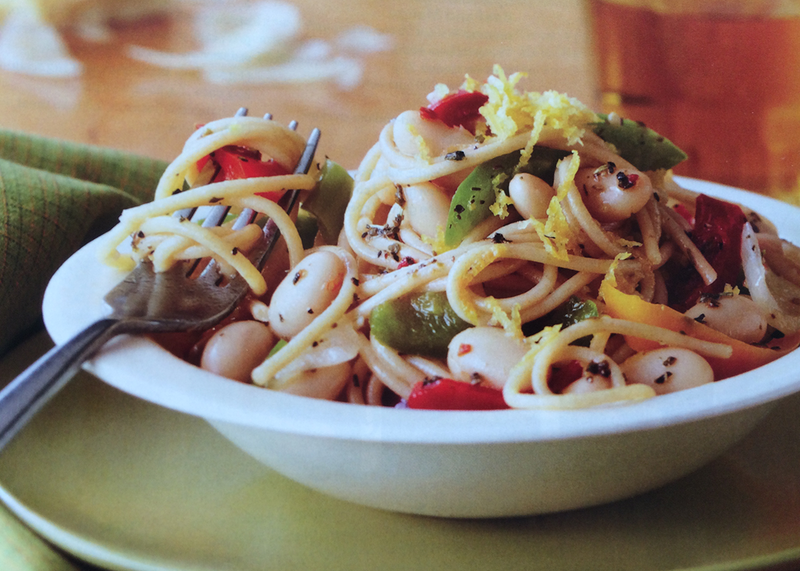 I like it for a great vegetarian primavera option because it includes beans/legumes in the ingredients. When you are eating vegetarian you have to watch out for the automatic increase in carbs from pasta. But, if you’re careful and balance out the meal by using more vegetables and fewer pasta in the ingredients you can have a nice tasty meal and stay healthy. Did you know primavera means spring in many romance languages? I prefer fresh ingredients when they are available. I replaced reduced-sodium chicken broth with reduced-sodium vegetable stock in this recipe. Meanwhile, in a large skillet heat oil over medium heat. Add beans, white wine, lemon juice, thyme, salt, black pepper, and crushed red pepper. Reduce heat. Cook, uncovered, about 4 minutes or until vegetables are crisp-tender, stirring occasionally. Add pasta to vegetable mixture in skillet. To serve, divide pasta mixture among four shallow bowls. Sprinkle with Parmesan cheese and lemon peel.